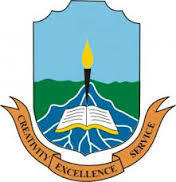 Niger Delta University (NDU), Wilberforce Island Direct Entry, Pre-Degree, Basic Studies Admission List of Candidates Offered Provisional Admission for 2018/2019 Academic Session. Authorities of the Niger Delta University (NDU), Wilberforce Island, has released the list of Direct Entry Candidates offered admission into its degree programmes for the 2018/2019 academic session as well as Pre-degree and Basic Studies candidates successfully admitted into the university’s degree programmes. Kindly log on to NDU admission portal via https://clearance.nduportal.com. Locate and click on “DIRECT ENTRY/PREDEGREE/BASIC” link in the menu. Supply your JAMB Registration Number where required. Finally, click on Check Admission Status to access your NDU admission status. ACCEPT or REJECT the admission offer on JAMB CAPS Portal. Proceed with the payment of N30,000 (thirty thousand naira only) as NDU acceptance fee.